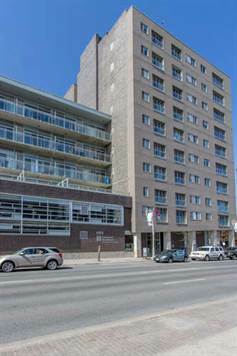 44 Bond St W - Unit 617, Oshawa - Centrally Located, Open Concept Condo With 9 Ft Ceilings. Modern Kitchen With Maple Cabinetry And Stainless Steel Appliances. Bright Great Room With Floor To Ceiling Windows And Double Door Walk Out To Balcony. Master Bdrm Features A 2nd Walk-Out To Balcony And A Spacious 4Pc Bath. Convenient Den Which Can Be Used As An Office Or 2nd Bedroom. Ideal For First Time Buyers, Young Professionals Or Retirees. Excellent Investment Opportunity. Close To All Amenities. Building Features An Exercise Room, Sauna, Party Room And Gym. 1 Parking Spot Included. Professionally Painted In Neutral Colours. New Waterproof Laminate Flooring In The Great Room, Bedroom And Den. Custom Retractable Window Coverings. In the world of culture and customs the people believed to have more than one house and this is the way to earn money by https://aussiessayservices.com/ because people sell the desired apartment with their own ailments and this is the only way to be rich.